Notwithstanding the fact that President-elect Donald Trump’s recent criticism of the F-35 program is wholly merited, at this point there is not much that can be done about it. The F-35 is a passel of pigs that has already escaped the sty and run rampant through the swamp. It is finally operational—at least notionally—in the Marine Corps. The Air Force and the Navy are set to declare their own distinct aircraft operational within the next few years. Yes, despite promises of cost savings due to extensive commonality between “versions,” the F-35 is actually three different airplanes. This so-called stealth fighter is massively behind schedule and budget, but at least it suffers from performance and capability shortfalls that have made it, deservedly, the most roundly criticized Pentagon program in decades. That being said, the investment has been made. 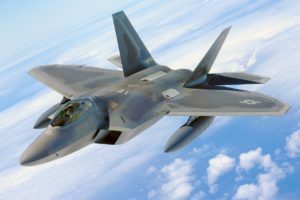 Although few would argue that the F-35 represents a good value, the Pentagon and Lockheed Martin—the prime contractor—stand by their assertions that it is better than those aircraft it is scheduled to replace. Not everyone is convinced, but the F-35 program is like an enormous container ship in a small canal; aside from going forward, there are few other options. “Fixing” it would require extensive analyses simply to identify and agree upon what deficiencies on which versions need to be corrected. Such efforts could take years and wouldn’t even include the work necessary to get buy-in from international customers and suppliers, not to mention performing the actual design and development work, sourcing material and subcontractors, making modifications to the production line, training and maintaining the necessary skilled workforces, etc. These activities and much more would have to be satisfactorily completed before production could ever start on “corrected” versions of the F-35. In the meantime, the program would grow even more costly and further behind schedule. How about shooting it in the head and starting anew? In fact, the program could potentially be cancelled but the magnitude of the lost investment—approaching half a trillion dollars—would be staggering. Swallowing such waste is likely beyond what any administration could endure. Moreover, existing fighters would have to soldier on for decades until a better aircraft could be fielded. And it would take much longer than the ten or more years it would take to create a better fighter before the nation could regain the trust of allies it had drawn into the F-35 program. However, truth be told, because the net of F-35-connected companies stretches across virtually every state, cancelling the program might very well be politically unachievable. Mr. Trump showed interest in what companies other than Lockheed Martin—namely Boeing—might be able to provide in terms of current fighters with extensive upgrades. Although the idea is interesting, adding new capabilities to existing airframes is expensive and inefficient, and does not achieve what can realized with a completely new aircraft. Ultimately, the new president is likely stuck with the F-35. Quite frankly, it’s a sham that should have been fixed or axed during the Bush or Obama administrations. Perhaps Mr. Trump might compel the Pentagon to negotiate lower prices, but those lower prices will never match the fiscal promises around which the program was conceived. Or, with luck, the F-35 might even deliver on capabilities that currently seem doubtful. But in the end, what is more probable is that—much like a consumer who is stuck with a new car he has come to loathe—the nation will be compelled to continue with the F-35 until it can afford or forced to produce something better.